Public Matters | Where Do I Get My 5? M.M. – South LA // Where Do I Get My 5? 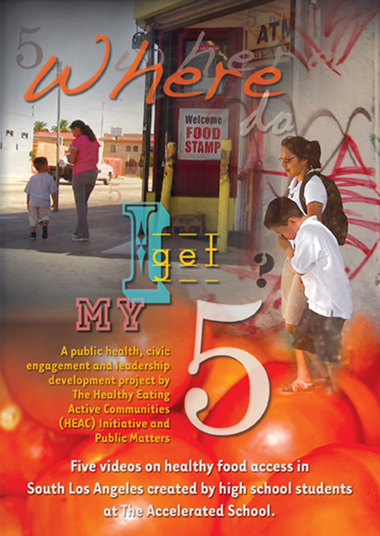 In 2007, during the first year of the program, Public Matters and HEAC Youth produced “Where Do I Get My Five?”, a DVD that portrays five distinct stories about the challenges of healthy food access in South Los Angeles. 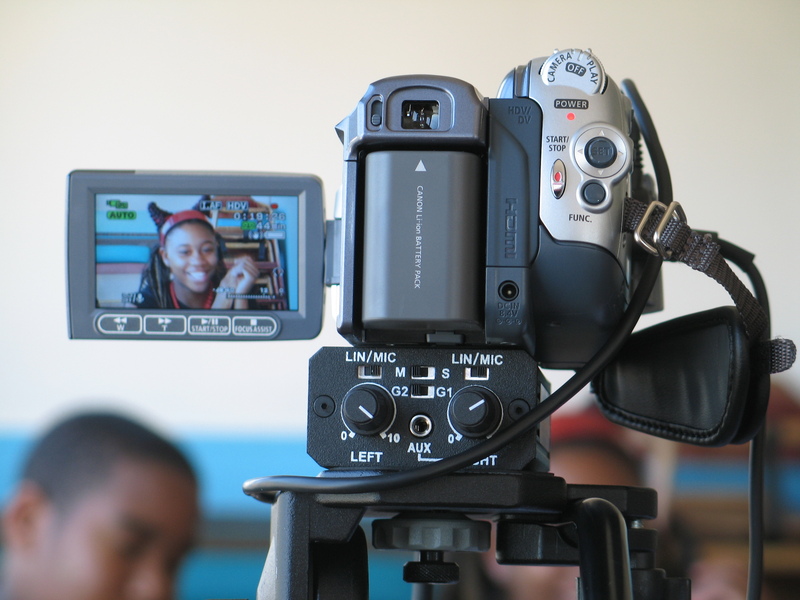 Student-written, shot and acted, these videos are more than simple documentaries showcasing public health conditions of South LA; they are part of an integrated project that led to direct community benefits. The goal of making “Where Do I Get My Five?” was to build relationships and motivate action. 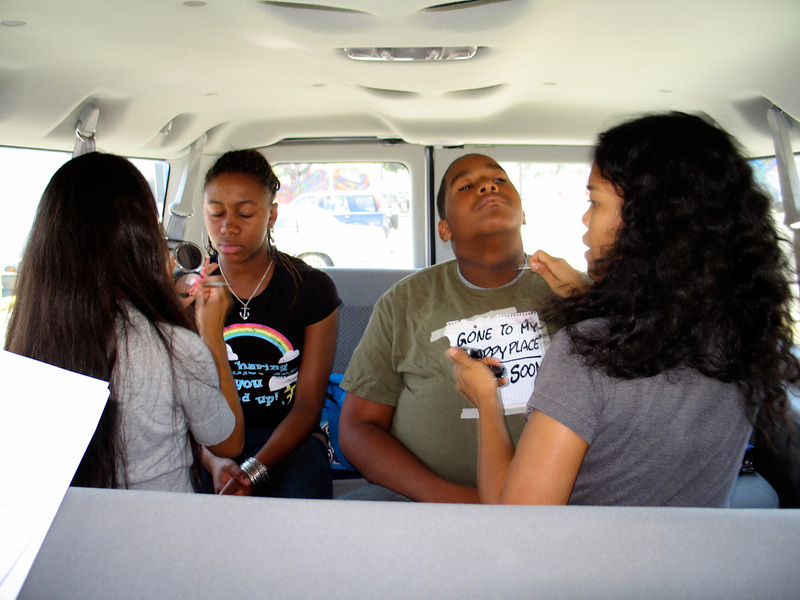 This was achieved by connecting local youth with elected representatives – allowing youth to work directly on community actions – and by bringing together a rich consortium of professionals, community advocates, and decision-makers around a common cause. Through a partnership with former LA City Councilwoman Jan Perry, the world premiere screening of “Where Do I Get My Five?” was held at the top of LA City Hall in the Tom Bradley room. 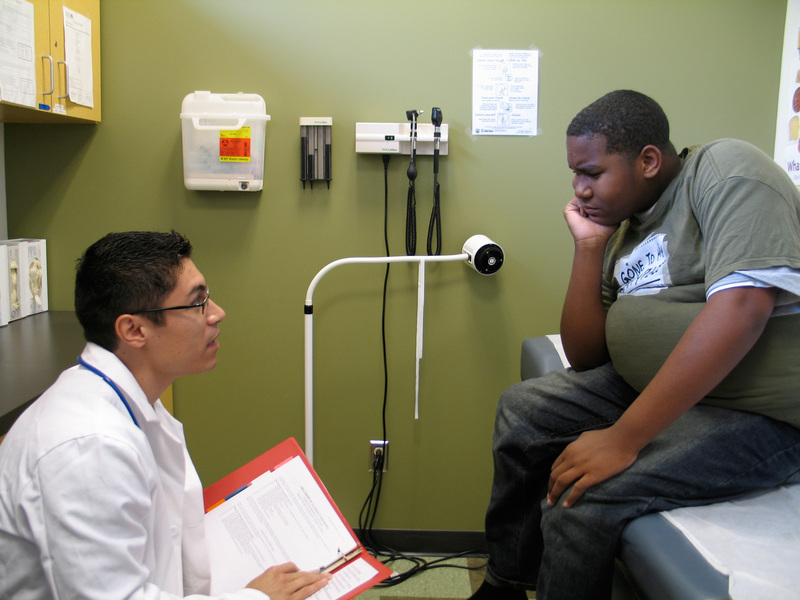 It was a fitting location and venue for a project that opened up eyes, ears, and mouths to healthy change.